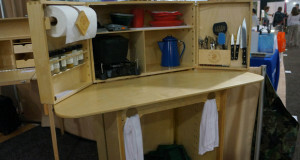 The My Camp Kitchen Pro Camper takes some of the best attributes from The Summit and The Outdoorsman to create a high quality wooden camp kitchen that is rugged and features large storage capacity. 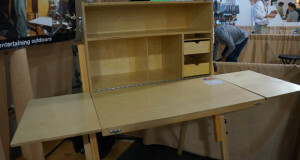 It acts as both a storage cabinet and a working area. The best part about having a My Camp Kitchen is the ease of use. 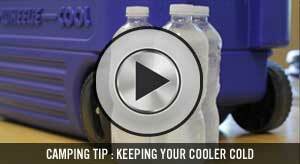 No longer do you have to put all of your household items in to a tub, haul it to a campsite and at the end of the weekend, pack it all up and put it away in your kitchen. 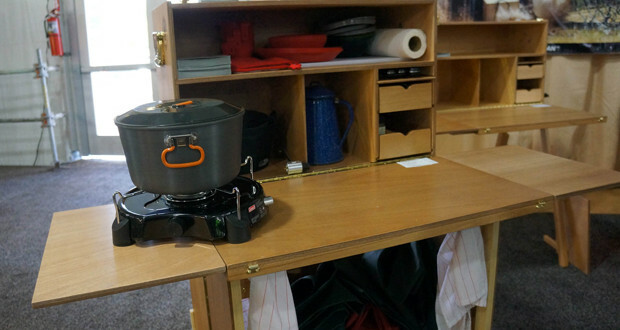 The My Camp Kitchen makes it super simple to just keep all of your kitchen gear and spices in the fold up cabinet so every time you want to go camping, you know where to find your kitchen gear. 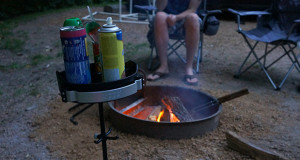 The Pro Camper has an adjustable stand that collapses making it easy to set up, use and store. It has three storage compartments with a removable divider and a slide out shelf with magnetic knife rack. There are two small drawers for spices and utensils. 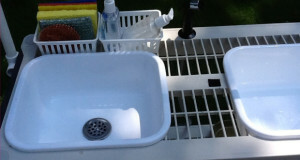 The My Camp Kitchen Pro Camper has a few accessories that can be added such as counter top extenders; waterproof cabinet cover and a carrying bag for the stand. 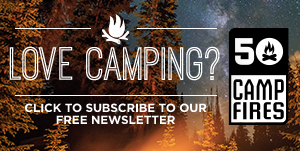 Made in the USA The Pro Camper truly is quality craftsmanship. 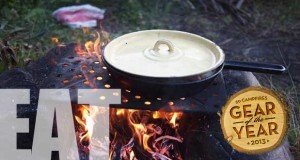 Crafted for ease of set up and use, My Camp Kitchen™ products utilize the strength and beauty of hardwoods, dovetail and dado joinery with brass finished hardware to provide you a product that will be an integral part of your outdoor adventures for years to come.